Veronica Mortensen was born in Denmark but she was raised in Athens by her mother, she returned to Denmark at the age of twenty where she graduated from the Royal Academy of music in Aathus. After graduating she worked as a leader singer and background vocalist, appearing in Rock Musicals in Copenhagen and Paris. To date she has made five albums her first in 2003 titled was “Pieces in a Puzzle” and with a large proportion of her first four albums being composed of self composed material this fifth album is something of a departure. 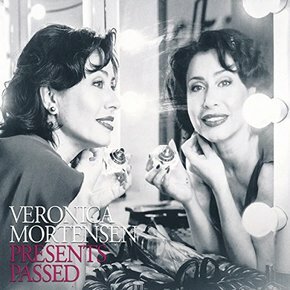 With the majority of singers coming on to the scene who tend to limit themselves to the well tried out standards Veronica Mortensen has mined the back catalogue and has come up with some gems. The album gets off to a stunning start with Mel Torme’s “Born to be Blue” that has a captivating vocal by Veronica Mortensen and a superb guitar solo by Per Mollehoj in fact the whole of the rhythm section is first class. With “They Say It’s Spring” the singer has come up with a winner and complete with the verse, this is a song and performance that lifts the album out of the ordinary and gives it class. Rogers and harts “He Was Too Good To Me” is another track to be savoured with again outstanding support from the rhythm section. Another tune which receives little attention is “Lies Of Handsome Men” which singer infuses with just the right amount of pathos without becoming maudlin. “Watch What Happens “ and “We’ll Be Together Again” are just a touch to strident but the singer redeems herself with a beautiful reading of “May I Come In”. The album is rounded out with the little heard “Thanks To You” which has some more sparkling guitar. This is the type of album you hope for from a contemporary singer but rarely appears, because the singer has made the effort to seek out little heard songs and is backed by a five star rhythm section it’s got to be a winner. Highly recommended for the inspired choice of songs and first class singing.